It would be a good idea to learn about Ayurveda foods if you want to experience the benefits of this alternative healing system. There are many of these foods available so it would wise to have a list handy for grocery shopping. What do these foods have in common? 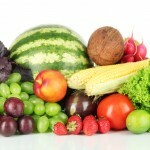 They are all related to the Ayurveda diet because they offer a balanced and practical approach to foods. The Ayurvedic diet can help you transform your relationship with your body, emotions, and food as you discard compulsive eating habits and food cravings. You can eat rice, wheat, and oats. Just like Vatas, you can benefit from sweet-tasting fruits. This means that you should eat more of fruits like the melon, pear, pineapple, and mango. Refer to the list of fruits recommended for Vatas above for other fruits that you should eat. Favor rice, wheat, barley, and oats. However, avoid brown rice. White meat from turkey and chicken is a fantastic option. Fish, especially the freshwater variety, is very beneficial. Avoid beef, pork, lamb and most seafood. Minimize tomato, hot pepper, onion, garlic, and radish. Basmati rice is a must as well as quinoa. Favor wheat, rice, barley, and oat. For non-vegetarians, chicken, and turkey are preferable. Red meat and seafood generally decrease an individual’s Pitta energy and should be minimized. Make sure to bring a list with you on your next trip to the grocery. Try these Ayurveda foods with different recipes and experience what it feels like to have a balanced and healthy well-being!